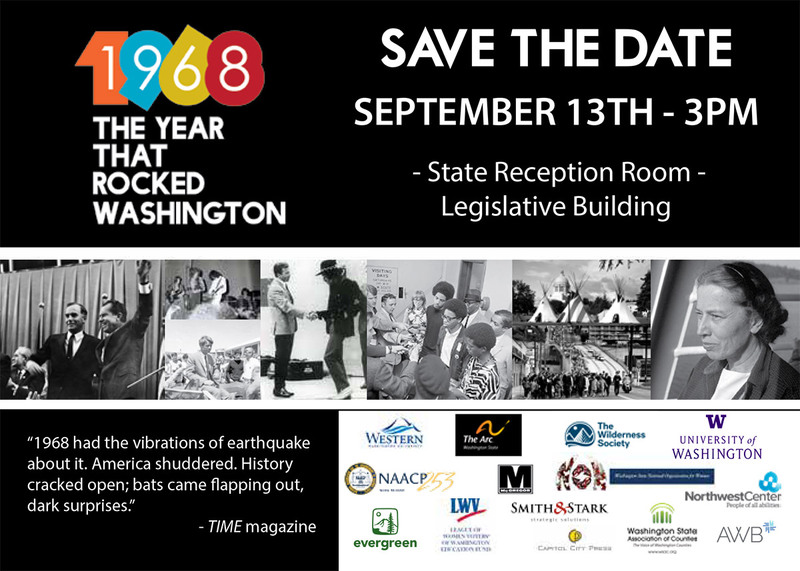 1968: The Year That Rocked Washington looks back at 1968 and its impact on Washington state through the stories of some remarkable people who lived through it. The experiences of these Washingtonians invite visitors to think critically about the monumental year and its continued relevance today. Join the conversation as we unveil our newest exhibit. When: September 13, 2018, 3:00 p.m. Reception to follow in the Office of the Secretary of State. Questions? Email us or call (360) 902-4171.